There may be some days when you are so stressed and tense at the end of the day that it feels impossible to fall asleep. When you need it most, sleep alludes you. There are a number of exercises that relieve stress, relax muscles and help your body drift to sleep. These are often referred to as Relaxation Techniques. Slowed heart rate, lowered blood pressure, increased blood flow and reduction of chronic pain and muscle tension are just a few of the benefits of using relaxation techniques mentioned by the Mayo Clinic. One technique, suggested by the University of Maryland Medical Center is called Toe Tensing. Laying down, flex your toes towards you and count to 10. Then relax your toes and count to 10. Repeat this cycle at least 10 times. The idea is to draw tension down from the rest of your body into your toes. As you tense your toes, other muscles will relax. The Mayo Clinic suggests a technique that involves engaging all of your muscles in tension and relaxation. It is called progressive muscle relaxation. Start with your toes and working up your body, tense each muscle group for 30 seconds. Then relax that same muscle group for 30 seconds. The idea is that you will be more aware of your tension and become more physically aware of what relaxation feels like. The National Institute of Health discusses guided imagery as a method of relaxation. You can listen to a recording, have someone speak to you or simply walk yourself through this technique mentally. In this technique a relaxing place or situation is brought to mind, allowing you to picture it mentally and focus your thoughts. This technique is also sometimes called visualization. 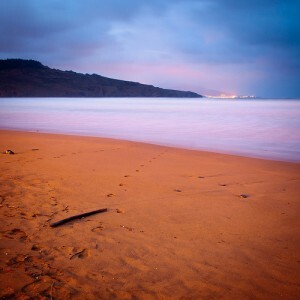 Other techniques include deep breathing, repeating single words or mantras while picturing them in your mind or simply listening to relaxing repetitive sounds such as ocean waves or rain. There are also ways to reduce stress for the long term. Exercises, especially ones that focus on stretching and breathing, such as yoga, can relieve day to day stress over time. On a really tough day, try one of these techniques to help get you to sleep. They can also be useful to relieve stress at work. Just practice one for a few minutes right at your desk. Be careful not to fall asleep there! Do you have any favorite ways to relax after a tough day? March 8, 2013 | Posted by Lee C.
A pillow protector is different from a pillow case. It can be made from various materials, but it encloses the entire pillow and zips shut. You can then place a pillow case over the top. There are several reasons why you should be using a pillow protector. Pillow protectors are easier to clean. They are much easier to wash and dry than pillows themselves. Using pillow protectors will allow you to wash the casing much more frequently. Not having to wash the pillow itself as often will lengthen the life of the pillow. Pillow protectors can keep dust mites and their leavings from pilling up in your pillow. They add another layer to “catch” the pests before they wind up in your pillow filling. A simple, hot wash will remove the allergens from your pillow protector. If you are sensitive to dust mites, you will not have to replace your pillow as often when you use a pillow protector. In addition to dust mites, Bedding Care suggests covers will also protect your pillow from bacteria, dust and mold. You may not always be able to bring your own pillow when you travel. Pillow protectors fold up nicely and fit easily into luggage. 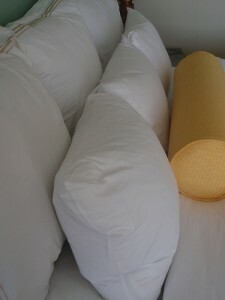 You can put your own pillow protector on hotel pillows or guest room pillows. This will help you avoid allergens in spaces that are different from your home. It can also make you feel a bit better hygienically. Choose a pillow protector that is made from high quality fabrics. These pillow protectors will withstand more washing. They also provide a bit more comfort and extra softness and fluff to your pillow. Higher quality fabrics will more effectively protect your pillow. You rest your head on your pillow every night. Every night your pillow is exposed to dead skin cells, perspiration, and more. Keeping your pillow protected with an extra layer of washable material will help your pillow last longer. Investing in a few pillow protectors will save money on pillows in the long run. Cleaning your pillow protector regularly will help keep you safe from allergens and bacteria. You may sleep better at night and feel better during the day if you start sleeping with a pillow protector.